Duodji Shop is located in the main reception area of the Sajos Sámi Cultural Centre. 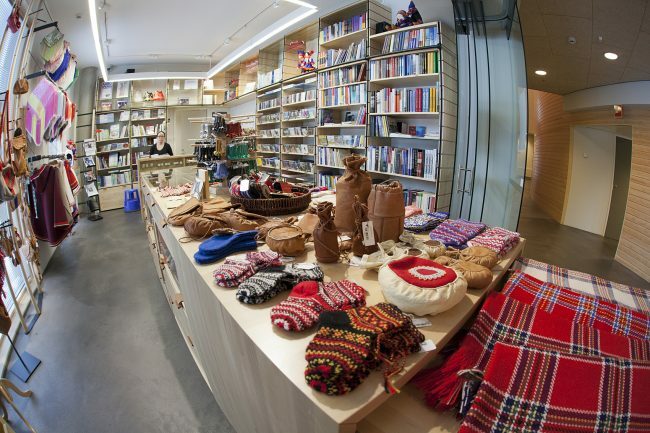 Duodji Shop sells authentic Sámi handicrafts, Sámi literature and music. Duodji Shop also has an online shop. Duodji Shop is owned by the Sámi handicrafts’ association Sámi Duodji Ry.